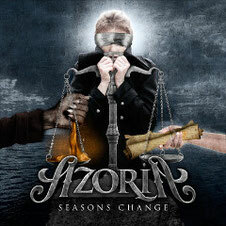 New metal act AZORIA from Sweden, will release their debut album "Seasons Change" through Liljegren Records/Doolittle Group on February 28th. The band was founded in early 2013 by the band leader and lead-guitarist Alexander Oriz. Oriz has worked hard during the last few years as producer, songwriter and as guitarist in the bands ReinXeed and Oriz. Renowned guests appear on this album to support the band, not only Chris David (ReinXeed) but also as a lead vocalist: Snowy Shaw (Sabaton, King Diamond, Dream Evil, Therion, Dimmu Borgir) on a song "Peace Of Mind" and "Starlight", Mike Andersson (Full Force, Cloudscape & Ayreon) on "Prophecy" and "To The Land Of Glory", Mikael Dahl (Crystal Eyes) on "Seasons Change", Mark E Gunnardo (Nordic Mist, Jawbreakers) on "Love It Loud" and "Inside My Heart", Tommy ReinXeed (ReinXeed, Golden Resurrection) on "Just Like The Phoenix" and "Inside My Heart" and Matilda Eriksson on "When You Sleep". 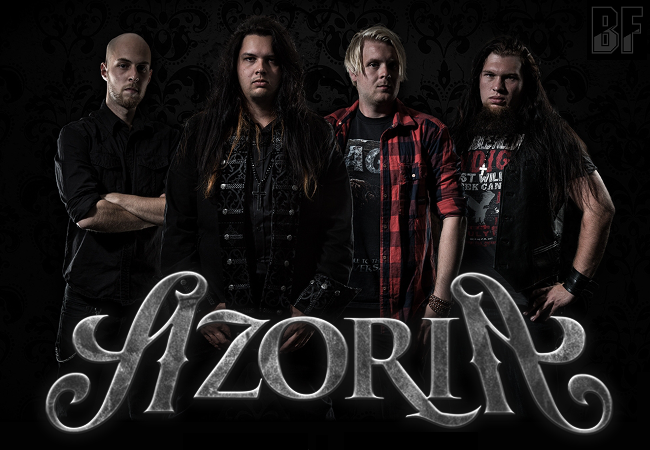 AZORIA will please many metal fans in Japan but also around the world, especially all followers of ReinXeed as the connection is strong and you will hear great music elements and inspiration from ReinXeed, Iron Maiden, Hammerfall and Edguy on their ́debut album.